Explore the black sand beaches, lava rock coastlines and the beautifully blue bodies of water at Kiholo Bay, on the Kona Coast. This oceanfront resort offers newly-remodeled rooms, a private beach cove and swimming lagoon, oceanfront pool and beachfront luau. Dine along the water at Don the Beachcomber restaurant or try the Original Mai Tai at Don's Mai Tai Bar. 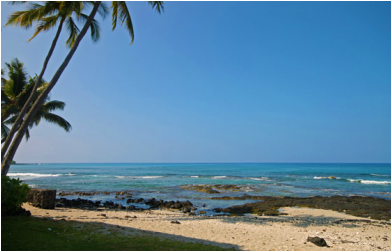 Walk to shopping, dining, and historical sites in nearby Kona town. True adventure seekers will thrill at the opportunity to discover the Big Island's wealth of activity, history and diversity. Now is the time to book your summer vacation to Hawaii! *Price per person based on double occupancy. 3 night minimum stay. Airline taxes are additional. FREE up to 5 day car rental offer where shown.